I remember, in the winter of our first experiments, just seven years ago, looking at snow . . . around my doorstep—great heaps of protons quietly precessing in the earth's magnetic field. The United States formally declared war on Italy and Germany on December 8, 1941. Long before the United States entered World War II, however, many American physicists were restive. Nuclear fission was discovered in Germany in late December 1938. Niels Bohr learned about this momentous event on January 3, three days before boarding the Drottningholm bound for the United States, where he was scheduled to visit the Institute for Advanced Study in Princeton for several months. Accompanying Bohr was his son Erik and a young colleague, Léon Rosenfeld, who spent much of the time during the trans-Atlantic trip listening to Bohr as he reflected and talked about the implications of the new discovery. Bohr was met on the pier in New York City on January 16 by Enrico Fermi, his wife Laura, and Princeton physicist John Wheeler. Bohr spent the day in New York with the Fermis while Wheeler and Rosenfeld went on ahead to Princeton. 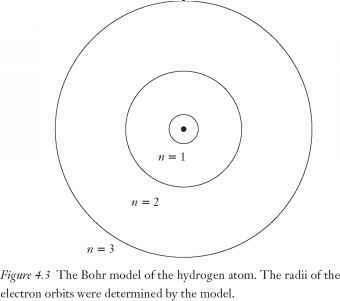 Bohr had said nothing to Fermi about the fission discovery. He wanted Otto Robert Frisch and Lise Meitner, who proposed the fission explanation to explain Otto Hahn's experimental results, to get full credit before others heard it from him. Thus, on the train to Princeton, it was Rosenfeld who first shared the news of the fission discovery with Wheeler. Later that same day, the Princeton Physics Department Journal Club met and Rosenfeld gave a talk about the fission discovery. Ten days later, on January 26, a conference was held at George Washington University in Washington, D.C. where the fission news was announced to a broader audience. After the Washington conference the news about nuclear fission spread quickly. Almost as quickly physicists recognized that nuclear fission held the potential for a chain reaction with an attending release of energy—enormous energy.1 This recognition was followed by a deep concern that this potential would be recognized and actualized by highly talented German physicists. Indeed, American physicists were restive. The first real opportunity to respond to their unease had nothing to do with nuclear fission. The opportunity came by means of another trans-Atlantic ship, the Duchess of Richmond, which arrived in Nova Scotia on September 7, 1940. On this ship was a delegation of scientists from England. They carried with them what has been called the "most valuable cargo ever brought to our shores. "2 The cargo was small; it could be held in one hand. It was called a magnetron, invented by British scientists John Randall and Henry Boot, and it could produce 10,000 watts of power at a wavelength of ten centimeters. On October 7, the magnetron was demonstrated for a group of physicists at the Bell Telephone Laboratories in New Jersey. The demonstration had a profound effect on those who saw it: this hockey puck-sized device was the means for developing small radar equipment that could be carried by fighter aircraft and ships. Things moved rapidly after the magnetron showed its stuff at Bell Labs. Just a little over two weeks later, the decision was made to locate a federally supported laboratory at the Massachusetts Institute of Technology for the development of microwave radar. The new lab was called the MIT Radiation Laboratory. This name was chosen to deceive: the University of California Radiation Laboratory was known throughout the world as a laboratory of nuclear physics, and it was hoped people would assume that the MIT Rad Lab was also devoted to nuclear studies, not radar. In 1940, despite the fission discovery, nuclear studies was still a subject only of academic interest. During the first week of December, physicists around the country hastily began to shut down their university laboratories. When their affairs were reasonably in order, they headed for Cambridge, Massachusetts, where over the next five years radar was developed to a high art. One of the first physicists to arrive in Cambridge was I. I. Rabi. Another physicist who arrived early was a young instructor from Harvard University, less than a mile up Massachusetts Avenue from MIT. That physicist was Edward M. Purcell. By late 1940, one year before the United States formerly entered World War II, American physicists had effectively gone to war. In early 1943, American intelligence learned that the Germans were developing their own radar. In response, a new laboratory was established at Harvard to develop radar countermeasures to protect American war planes and ships from radar detection. Although this work began at MIT, the new center was moved to Harvard and called the Radio Research Laboratory. 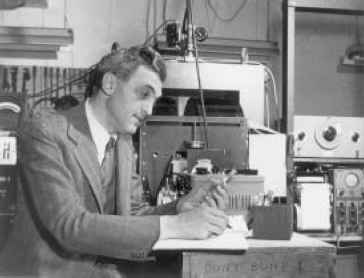 Joining the effort at Harvard in late 1943 was the Stanford University physicist Felix Bloch. Bloch had been at Los Alamos working on the bomb, but he did not like the military atmosphere at Los Alamos, where mail was routinely opened and surveillance was part of everyday life. During the war, Purcell and Bloch were working in the same neighborhood. The countermeasures work at Harvard, however, was kept secret from the radar work at MIT. Thus, the two physicists saw each other only once during the war. Their one meeting occurred at a party celebrating Rabi's 1944 Nobel Prize. Purcell and Bloch were at different stages in their professional careers when they joined the war effort. Bloch, Purcell's senior by seven years, had been a professor at Stanford University since the spring of 1934 and had a significant body of research behind him when he started at Los Alamos. 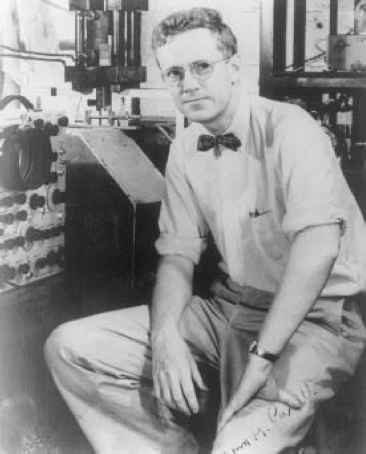 By contrast, Purcell finished his education just before he joined the MIT Radiation Laboratory and had just been appointed to an instructorship on the faculty at Harvard. Purcell had not established his own research interests. The experience at the Radiation Lab was very important for Purcell's professional development. Thrown together with more senior physicists, he learned about their pre-Rad Lab work in physics. Particularly influential, as Purcell acknowledged, were the "physicists from Rabi's laboratory at Columbia. "4 Purcell learned from Rabi (to whom he reported), Ramsey, Zacharias, and Henry Torrey about Rabi's prewar magnetic resonance experiments, and as the war wore on, ideas began to take shape in Purcell's thinking. Shortly before the war officially ended, a vast writing project was initiated by Rabi at MIT. The outcome of this effort was a series of books, twenty-seven volumes in all, that contained a complete account of the technical achievements of the Radiation Lab oratory during the development of radar. These books, known as the Rad Lab Series, disseminated technical accomplishments to the larger scientific community and became textbooks for scientists and engineers during the years following the war. Purcell, with two co-authors, wrote volume 8 of the series.5 The writing continued for several months after the war ended. On a day in September, one month after V-J Day, fellow RadLab physicists Robert V. Pound and Henry C. Torrey, also writing books about microwave electronics, asked Purcell to lunch with them. Torrey had been a student of Rabi's at Columbia before the war and was thoroughly conversant with Rabi's magnetic resonance method. As they were walking west along Massachusetts Avenue toward Central Square in Cambridge, Pound remembers that Purcell asked Torrey why the magnetic resonance experiment Rabi had carried out with molecular beams couldn't be done in solids. Purcell's idea was to take a solid rich in hydrogen, place it in a uniform magnetic field, which, according to quantum mechanics, would create quantized energy states, and then bathe these hydrogen atoms with radiofrequency radiation to see if energy is absorbed by the hydrogen atoms. Initially, Torrey expressed his skepticism about this possibility, but the next day, after an evening of calculations, he told Purcell that he was more optimistic about the possibility of a magnetic resonance experiment in bulk matter. Purcell invited both Pound and Torrey to join him in the effort. Figure 14.1 Edward M. Purcell. magnetic moments of the hydrogen nucleus could be reoriented by radiofrequency radiation. Though conceptualized and described differently, the experiment Bloch described to Hansen was equivalent to the experiment Purcell discussed with Pound and Torrey. Hansen was immediately interested in Bloch's idea and saw ways that the experimental approach described by Bloch could be improved. Unbeknownst to each other, Purcell and Bloch started their individual experiments in the fall of 1945 at Harvard and Stanford respectively (see Figures 14.1 and 14.2). After the war there was little equipment and very little money at either Harvard or Stanford. Ernest Rutherford once said, "We have no money so we have to think." Both Purcell and Bloch followed Rutherford's admonition. The Harvard experiment was a moonlighting effort, for Pur-cell, Pound, and Torrey were busy writing the MIT Rad Lab books. Both groups began scrounging for equipment. Purcell looked around the labs at MIT for a magnet, but found none. At Harvard, Professor J. Curry Street had once used a magnet in his cosmic ray work and Purcell arranged with Street to borrow that magnet, which was located in a shed behind the Lyman physics building. (The yoke of this particular magnet began its life as part of a generator of the Boston Elevated Railroad.) A signal genera tor was borrowed from Harvard's Psycho-Acoustic Laboratory. Bob Pound, an electronic virtuoso, took responsibility for the design of the electronic circuitry. 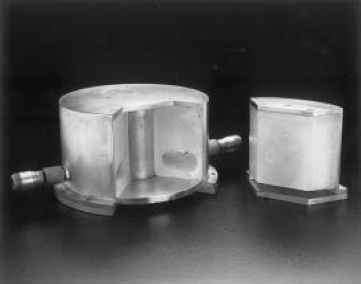 The brass cavity that held the sample was made at MIT by a machinist whose work had slowed when the war ended. Torrey grappled with theoretical calculations to guide experimental design. Meanwhile, Bloch had received $450 from Stanford for his experiment. Most of the money, $300, was spent on one instrument: an oscilloscope. They borrowed a magnet from the physics stockroom used for demonstration purposes in the classroom. Bill Hansen, also an electronics wizard, designed the electronics, and a graduate student, Martin Packard, put the circuits together. state quantum system can be seen in the experimental design Purcell adopted for his discovery of nuclear magnetic resonance (NMR) in bulk matter. Bloch's experimental design was couched in more dynamical terms, which can be seen as deriving from his earlier work. Just before the war, Bloch and Luis Alvarez measured with great accuracy the magnetic moment of the neutron. In this work, the magnetic moments of neutrons were aligned by a magnetic field and then reoriented by an oscillating field. Bloch's neutron experiment bore similarities to Rabi's magnetic resonance method. Reorienting magnetic moments was the conceptual image that influenced Bloch's experimental design in his discovery of NMR. Purcell's cavity was filled with two pounds of hydrogen-rich paraffin, the kind used to seal jars of jelly, which he purchased at a First National store on the way to his laboratory (see Figure 14.3). Bloch's sample cell contained a small amount of hydrogen-rich water. Both experiments focused on hydrogen: Purcell planned to look for energy absorption between two quantum states of the hydrogen atom; Bloch's intention was to look for a reorientation of the magnetic moments of the hydrogen nucleus. Purcell's first experiment took place on Thursday evening, December 13, 1945. It was snowing hard. With their paraffin-filled cell mounted between the poles of their magnet, Purcell's team slowly varied the strength of the magnetic field looking for a response by their detector. From about 10:00 p.m. to 4:00 a.m. Friday morning, they kept at it: ranging back and forth across the magnetic field strength at which Torrey's calculations suggested energy absorption should occur. They found nothing. Figure 14.3 The cell used by Purcell's group in their experiment. This cell is now at the Smithsonian Museum. ternoon, they had seen nothing and were about to close down the apparatus when just "for kicks," as Pound recalls, they decided to turn the magnet up to full strength and watch the detector as they slowly decreased the magnetic field strength. As they watched the needle of the meter, they suddenly saw a sizable deflection. They went back and forth across this particular field strength and every time the detector responded. They had accomplished their goal: hydrogen atoms in paraffin were observed making a quantum transition from one energy state to another. Magnetic resonance in bulk matter was a reality. Christmas, they observed a blip on the oscilloscope as they decreased the strength of the magnetic field. This blip was evidence that Bloch and his colleagues were observing hydrogen nuclei in water molecules reorienting themselves in the external magnetic field. Magnetic resonance in bulk matter was a reality ... on both the east coast and the west coast. The discovery of magnetic resonance in bulk matter opened up a very active area of physical research. It has been applied to physical and chemical problems by physicists and chemists all over the world to the present day. In recognition of their work, Edward Purcell and Felix Bloch received the 1952 Nobel Prize in physics for their discovery of magnetic resonance in bulk matter. In 1952, neither Purcell nor Bloch could have predicted the ways their discovery would advance understanding of solids, of the structure of chemical molecules, and even more. In fact, a representative from Dupont Chemical Company visited Purcell soon after the paper announcing the discovery was published. The Dupont scientist asked Purcell what the practical applications of NMR might be. Purcell responded that he could see no practical applications. In this, Purcell was very wrong (see Figure 14.4). 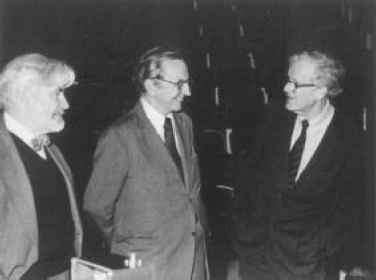 Figure 14.4 Robert V. Pound, Henry C. Torrey, and Edward M. Purcell (left to right) at the retirement of Torrey from Rutgers University. This same photograph appeared on a poster celebrating the fiftieth anniversary at Harvard University of the discovery of NMR. nuclear magnet is influenced by its electronic environment within the molecule. Specifically, the NMR signals originating from a hydrogen nucleus in one environment in the molecule are dramatically shifted from a hydrogen nucleus in another environment. From these "chemical shifts," detailed information about molecules can be determined. The uses of NMR are manifold. NMR systems, for example, are lowered into bore holes by oil companies searching for oil deposits. More recently, NMR became a powerful tool in the hands of physicians. Unlike X rays and other methods used to see parts of the human body, NMR is completely noninvasive and benign and reveals vital information about bodily organs and their func tion. In the context of hospitals and medical facilities, the NMR method is called magnetic resonance imaging (MRI) and is a staple in medical practices. NMR was a first-generation descendent of Rabi's discovery of magnetic resonance, whereas MRI is a second-generation descendent. As such, these practical consequences of Rabi's basic work demonstrate the unpredictability and value that are often inherent in pure research. Twinkle twinkle Otto Stern How did Rabi so much learn? I think it's swell that Ed Purcell Should share the shock with Felix Bloch. What years did felix bloch experiment?